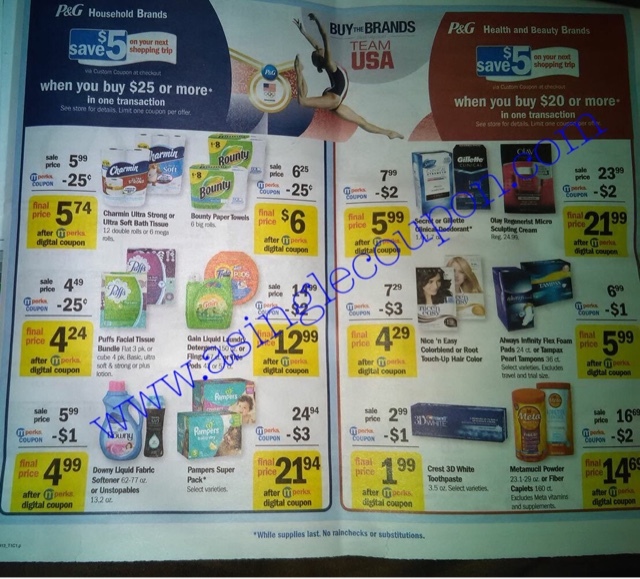 Meijer: P&G Catalina Starting Sunday 5/29-6/4/16 or Thursday 6/2-6/8/16! Starting Sunday 5/29-6/4/16 or Thursday 6/2-6/8/16! I am showing price's BEFORE mPerks coupons as they are (typically) a one time use and also sometimes a lower value than a printable or insert coupon! Buy (1) P&G item - i will look for a cheap filler on Sunday! Hopefully there will be more unadvertised sizes and prices included in this sale. I will scope them out on Sunday! Final Cost: $2.50 each wyb 4, which works out to be $0.42 a roll!! !